Fits 911 models to Carrera 3.2. 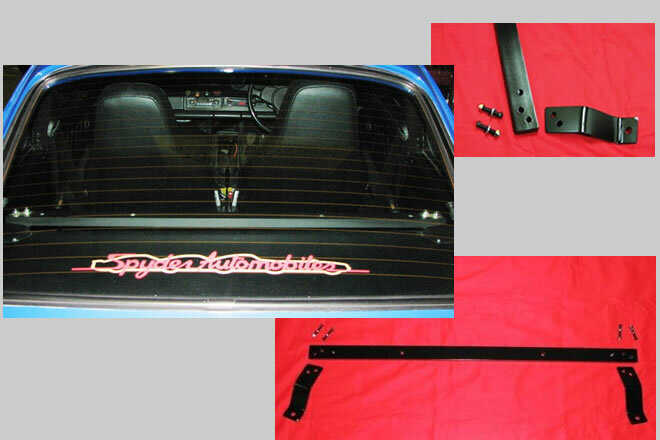 Mounting bracket design differs depending on 911 model. Manufactured in-house using rectangular solid aluminium bar & steel mounting brackets; attaches to original rear seatbelt top mounts. Fits 911 models to Carrera 3.2. Mounting bracket design differs depending on 911 model. These harness bars have been in use across Australia and when fitted to cars with full trim blend into the car beautifully. The design was to make it possible to fit a harness on the weekend and then for the everyday use remove the harness to use the rear seats. These are ideal for club competition and fun road use!